This condo was a great getaway for my wife and I and our older children. 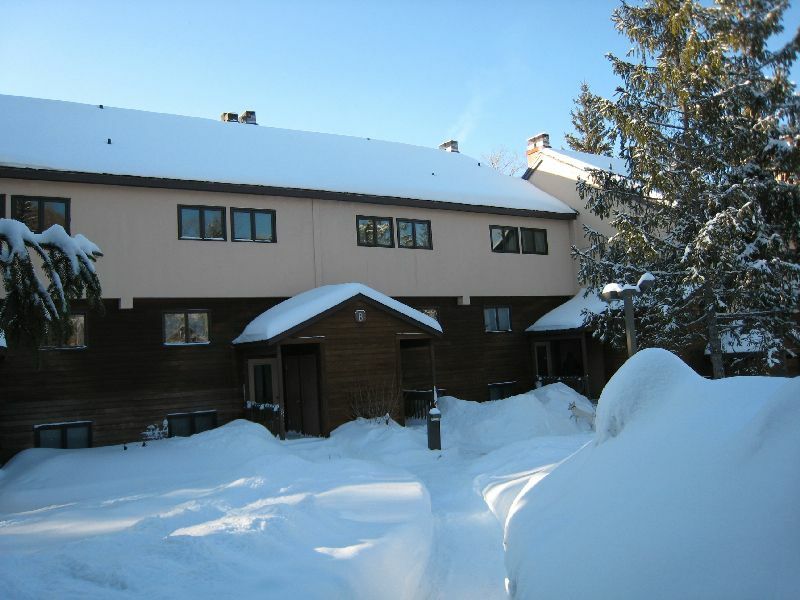 Nice and close to the mountain for skiing and snowshoeing out the back door. The living room with fireplace was just what we were looking for. Also, with 3 bedrooms and 2.5 baths, there was plenty of room for all. My son, his 11- and 13-year-old sons, and I spent 5 nights at Miri's condo while we were skiing at Killington. The location is ideal--2 minutes from the K-1 parking lot, and just 5 minutes in the other direction to Skyship parking, which we decided was the best home-base for the day. The condo is very well appointed: lots of towels, bedding, pots and pans, and kitchen utensils (except, oddly, there were very few table knives! previous guests must have made off with some, because this was definitely an anomaly in an otherwise well-equipped kitchen). My bed was very comfortable and I expect everyone else's was too, or I would have heard complaints. There is a large fireplace and wood is available, although we didn't make use of that facility because some of the party suffer asthma, and we thought it better not to risk any smoke. The condo was very clean and well-maintained. Ski storage was convenient: an outdoor cupboard just outside the entrance. There's a beautiful view from the living-room and master bedroom windows of the woods behind the condo. Lots of hot water, well-functioning showers. Miri was friendly and accessible beforehand, providing all the information we needed to find the place and settle ourselves. And there is a large table for meals and board games in the evenings. We had no complaints and would recommend the place to anyone looking for convenient accommodations at Killington. Thanks, Miri! Awesome location, great for a ski weekend! Really good place for the money. Our family (four adults & an infant) came to Killington for the World Cup Races and to gather with other family in the area for Thanksgiving. This is an old condo complex, constructed with budget quality doors & windows and with worn furnishings. Pleasantly this unit has remodeled bathrooms & kitchen, new carpeting and a cozy wood fireplace. It was certainly spacious and comfortable for our party, but there were several maintenance issues (missing or failing towel racks/hooks, lamps and vacuum cleaner not working, chirping smoke detector in MBR, limited kitchen linens). Due to the excellent location (shuttle bus picks up right in front), spaciousness and responsive owner, we would certainly stay here again. The owner Miri was very nice to speak with upon reserving our 5 night stay. The condo had all of the amenities we needed, and was very comfortable and close to the slopes. We hope to stay there again next year! Happy that you enjoyed our beloved place. Likewise, I'd be happy to host you and your lovely family next year, or any other time. Holiday Rates (3 nights minimum): 1,650, extra night: 300, 7 nights: $2,700 Christmas (3 nights minimum): 1,650, extra night: 350, 7 nights: $3,000 Please Pay by e-check to avoid credit card bank fee, New Year (3 nights minimum:) 2,250, extra night: 350.00 No Saturdays check in or out. For monthly rates, please call.